Beautiful rental home, in the heart of Carmel Valley in the Torrey Hills neighborhood. 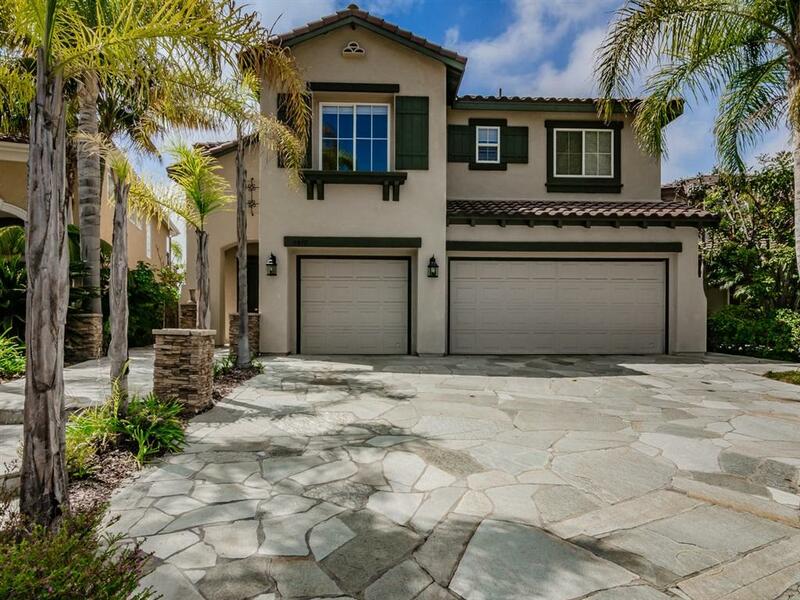 The home is located on a quiet cul-de-sac with panoramic views to Torrey Pines State Beach. 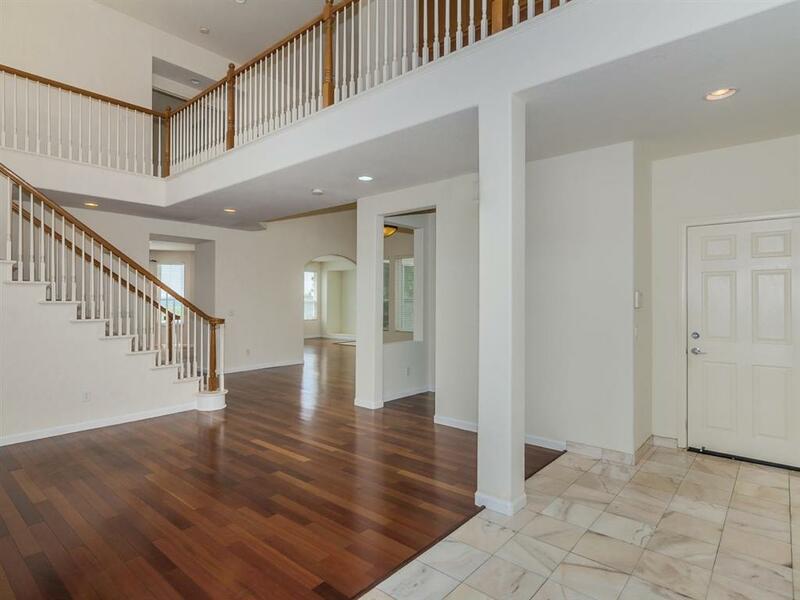 5 beds, 3.5 baths highly upgraded home with hardwood flooring, elegant tile treatments, & new carpet. The kitchen has modern appliances, stainless steel refrigerator, granite counters, custom cabinets, double oven, double sink, walk-in pantry, & open to large living room. Beautiful pool & spa in the fully fenced & gated backyard. Beautiful executive caliber rental home, in the heart of Carmel Valley (San Diego), in the highly desirable Torrey Hills neighborhood. 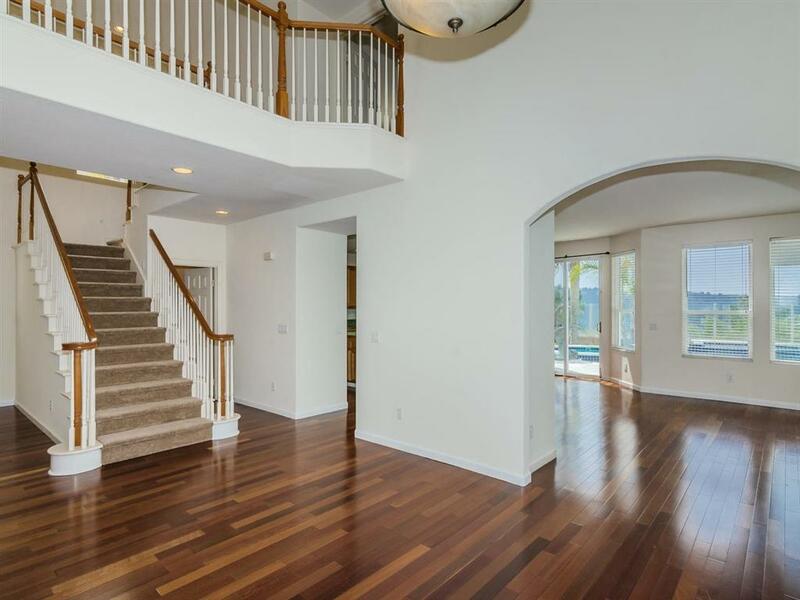 The home is located on a quiet cul-de-sac with panoramic views to Torrey Pines State Beach. Ocean view and amazing sunsets over the Pacific Ocean! It is located in the highly rated Del Mar Union and San Dieguito High School District (Torrey Hills Elementary School, Carmel Valley Middle School, Torrey Pines or Canyon Crest Academy High Schools). It is a highly upgraded home with hardwood flooring, elegant tile treatments, and new carpet throughout. Enter the home along a flagstone walkway through the front door and formal foyer into the large living with vaulted ceiling, lovely staircase and banister, and open archway into the family room and kitchen area. The gourmet kitchen has modern appliances, stainless steel refrigerator, granite counters, custom cabinets, double oven, double sink, walk-in pantry, and is open to the large family room with fireplace and built in desk area. Sliding glass door and windows look out to the pool and views of Carmel Valley to Torrey Pines State Beach. The upstairs living area features a large and elegant master bedroom suite with a private balcony with ocean view, customized walk-in closet, mirrored wardrobe doors, luxurious master bathroom with marble tile, his/her dual sinks, over sized bathtub and glass brick enclosed shower. There is also one other downstairs bedroom and three upstairs bedrooms, two additional full upstairs bathrooms, plus another 1/2 bath and separate laundry room with utility sink and front load washer/dryer. The hardscape and landscaping is delightful with flagstone walks and patios, mature palms, and beautiful pool and spa in the fully fenced and gated backyard. A fun and whimsical sculpture of dolphins keeps watch over the pool and spa! Recreational amenities such as parks, hiking trails and hundreds of acres of natural open space allow Torrey Hills residents to enjoy San Diego's Mediterranean climate year round. 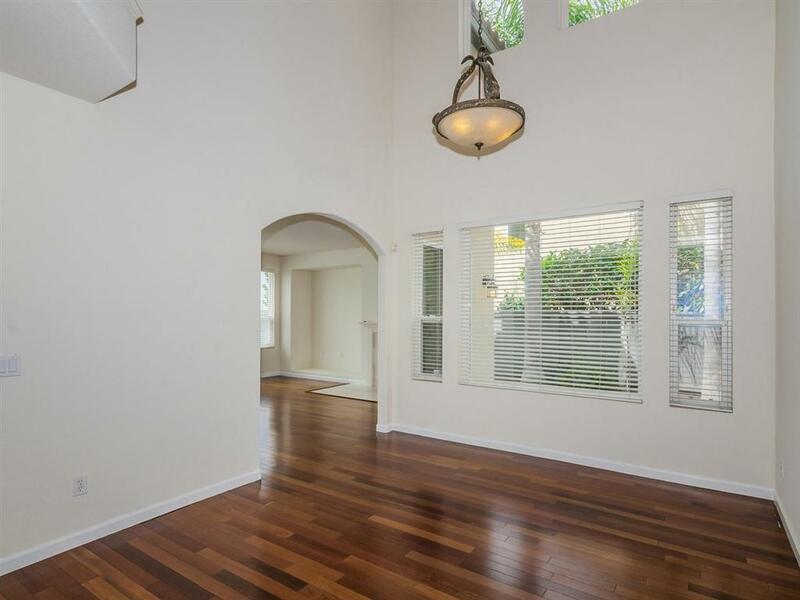 The neighborhood is also in close proximity to shopping, restaurants, movies and grocery in Del Mar Highlands and just minutes to beaches in Del Mar and La Jolla. Commuting is quite convenient with quick and easy access to Interstates 5 and 805 as well as Highway 56. Listing provided courtesy of North County Property Group. Listing information © 2019 San Diego MLS, Inc.